Red Bull motorsport advisor Dr Helmut Marko says that Honda staying in Formula 1 after 2020 will be crucial in any decision the team makes about remaining as well. The current 'Concorde Agreement', which binds the teams to the sport, expires in December 2020. The lack of a new agreement effectively means no team is tied to F1 for 2021, when a raft of rule changes proposed by Liberty Media are set to come in. Ferrari have previously been vocal about the prospect of pulling out of F1 if concessions are not made over a budget cap and changes to engine regulations, which reports have suggested Liberty has had to bend on. Red Bull ditched a customer deal with Renault in favour of a closer technical bond with Honda for 2019 and Marko says the Japanese marque could influence the team's future on the grid. "We are taking the same approach as Honda. "We are hoping that, finally, there will be clarity, and if Honda decides to stay after 2020, we will provide them with everything they need to participate." 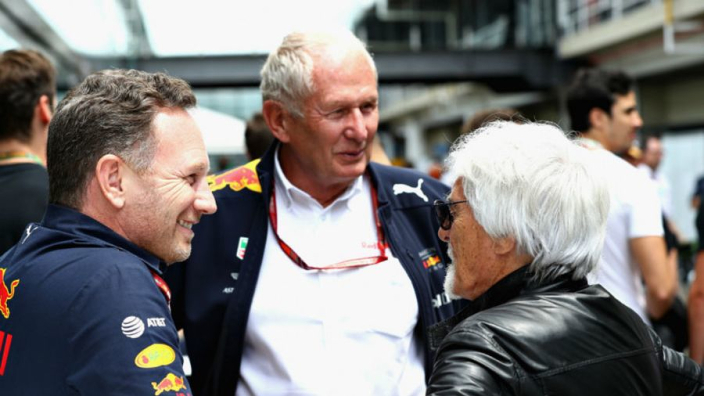 Marko said Red Bull's attitude towards the V6 Hybrid era has changed now that it is in collaboration with Honda. "For the first time in 14 years, we are treated as a factory team, which of course creates a completely different situation."